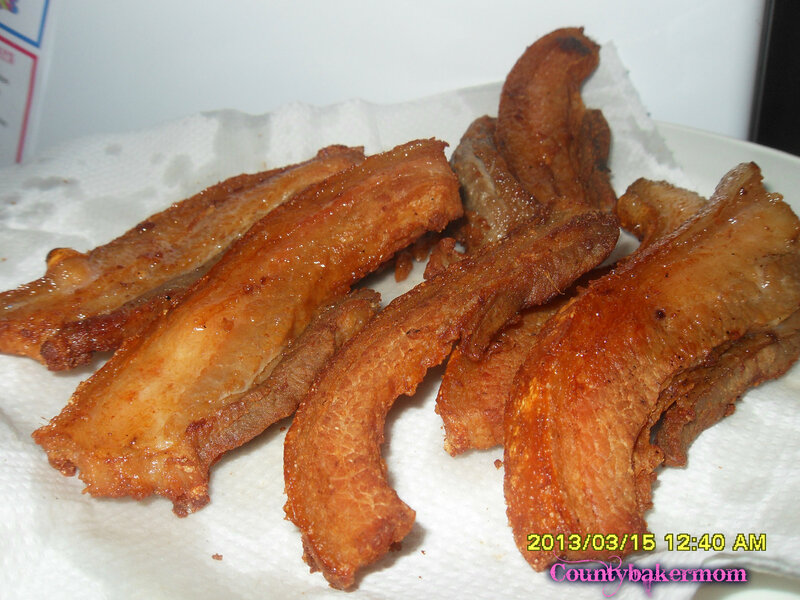 Tocino del Cielo (Bacon from Heaven!) 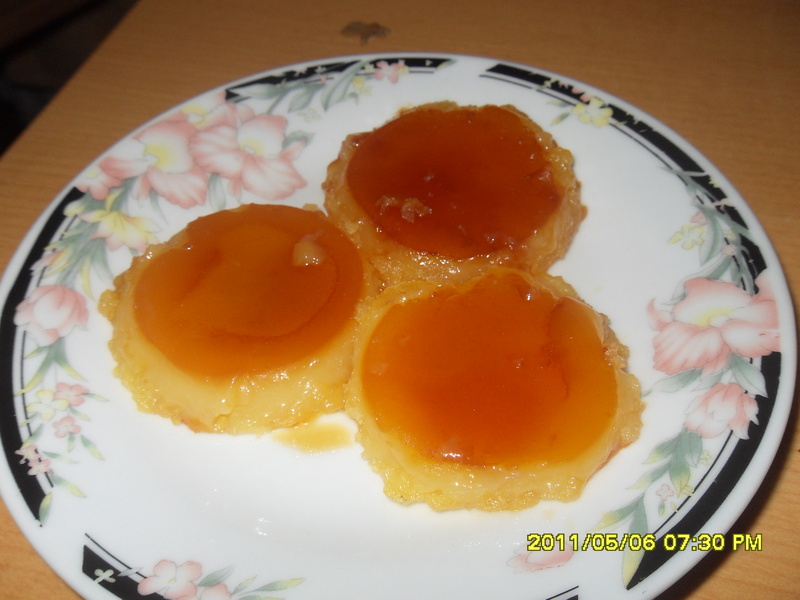 Introduced to us by the Spanish, it is a really simple, yet incredibly rich dessert. 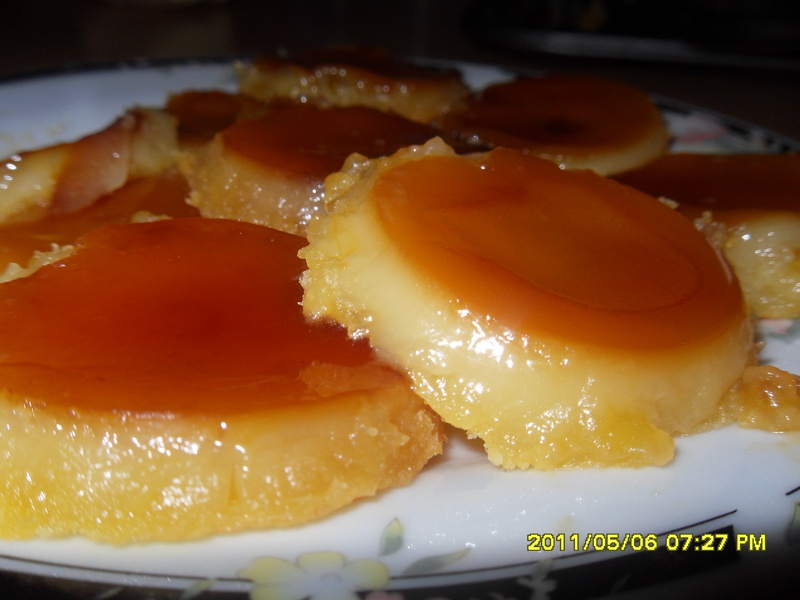 This is not leche flan but a smoother, richer, milk-free confection that is sublime. 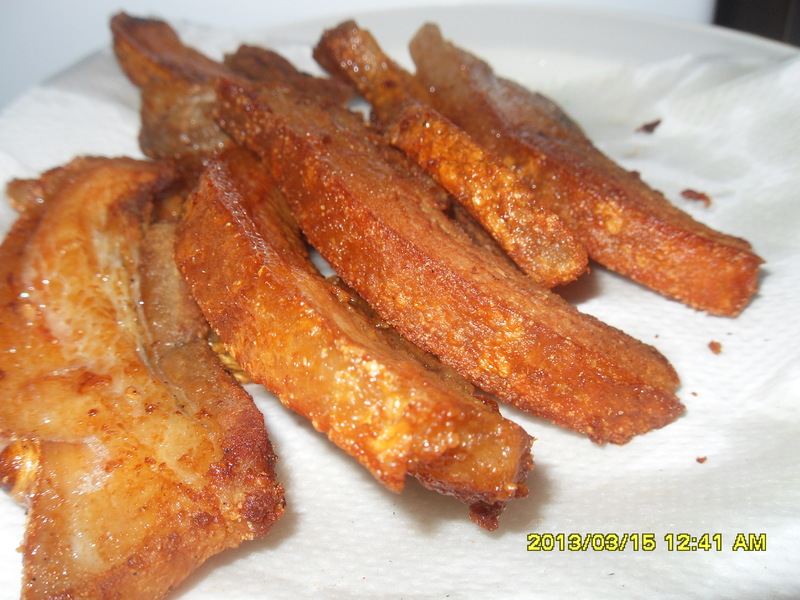 1 Caramelize 1 cup sugar over medium heat until melted. 2 Line bottom of desired molds. Butter the side of the molds. 3 Make the syrup: Boil 2 cups sugar with 3/4 cup water until it spins a thread. Cool for 2 minutes. Pour over the lightly beaten egg yolks. 4 Mix well and then add the softened butter. Strain and pour on molds. 5 Place molds in a bain marie (water bath) filled with water to 2/3 the height of the pan. Cook in an oven preheated 350°F for 50 to 52 minutes. When firm, they are done. Alternative cooking tip: You can make this recipe using siopao steamers, but it will take longer, around 75-90 minutes.